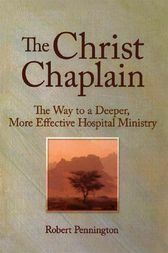 The Christ Chaplain: The Way to a Deeper, More Effective Hospital Ministry is an instructive guidebook for health care chaplains who struggle with the high levels of stress that have become commonplace in modern medicine as they work longer hours for lower wages yet get to spend less time with patients. The final book from Father M. Basil (Robert) Pennington, who passed away in 2005, cuts to the real heart of the matterjob burnoutby emphasizing not what a chaplain does, but what a chaplain is. This unique book teaches chaplains how to achieve better spiritual health by practicing spiritual self-care through centering prayer. The Christ Chaplain was written for hospital chaplains who find themselves at the limits of what they can do and what they can endure in living out their calling. Father Pennington ministers to the ministers, helping them to deepen their spiritual lives so they can better provide comfort to the sick and the dying. The book guides hospital chaplains through the Christian mystical tradition via lectio and centering prayer, a method of contemplative prayer rooted in silence that encourages a person to pay attention to God dwelling in the center of his or her being. The Christ Chaplain also includes appendixes that offer sacred reading, a prayer for the hospital, and suggested readings. This powerful book is an invaluable, how-to guide to better spiritual health for hospital chaplains and other religious personnel, including those working in pastoral care departments of seminaries.